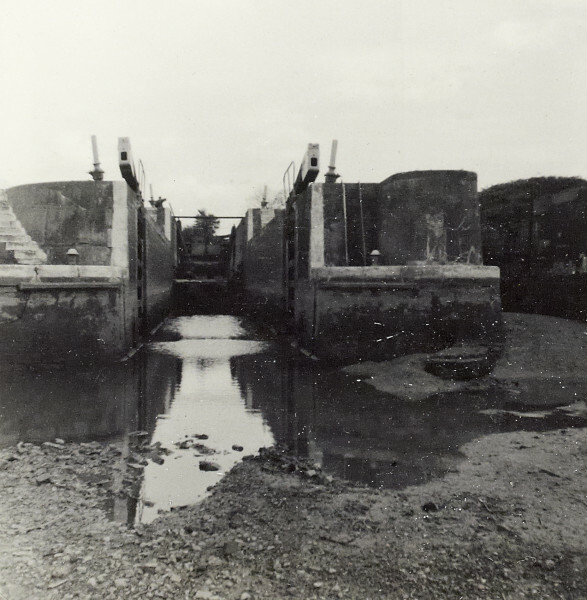 Black and white photograph of the Bascote "Staircase" locks on the Grand Union Canal. Taken from the drained canal bed looking straight ahead down the locks. This photograph is on page 25 of the C N Hadlow photograph album.